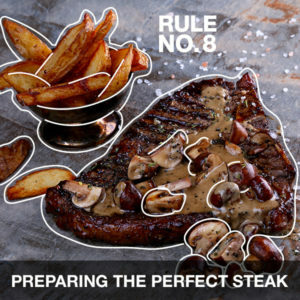 Preparing your steak the right way is just as important as cooking it properly. 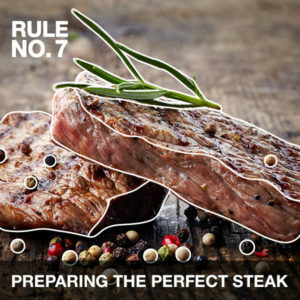 Follow these easy steps to prepare the perfect steak! 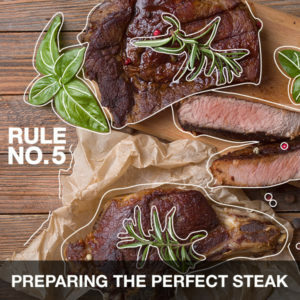 Prepare your steak by drying and seasoning generously at least 45 minutes before cooking, to ensure that your steak browns perfectly. 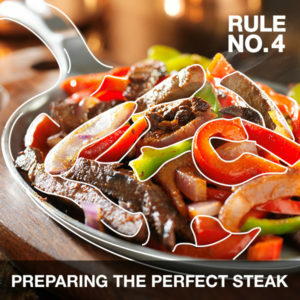 A wet steak will not brown properly so should be avoided. 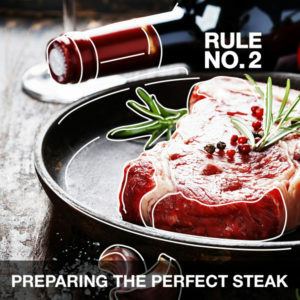 For a preferred outcome, keep your steak in the fridge for up to 3 days in a rimmed baking sheet before cooking. This will give you the best results, for getting that steak prepped for cooking. A heavy pan can retain more energy. So when cooking your steak, use the heaviest pan that you have to help sear your steak efficiently. Don’t cook too many steaks in a single pan. 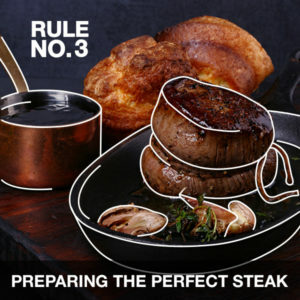 Too many steaks together will reduce the heat of the pan, making it cook ineffectively. Don’t worry about how many times you flip your meat. 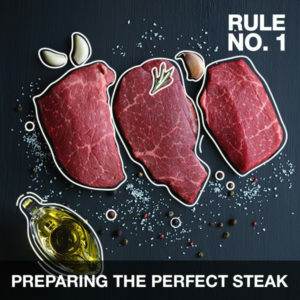 Flipping the steak often will make it cook a little faster and more consistently - though it doesn’t make a huge difference – whatever works for you! Don’t use butter at the start of your cooking process if you are cooking on a high heat. It increases the risk of burning. Rather add it when you are nearly done as it can assist with the browning of your steak. Don’t forget to sear the edges of your steak. If your steak is thick, the edges need the same amount of attention as the rest of the steak. 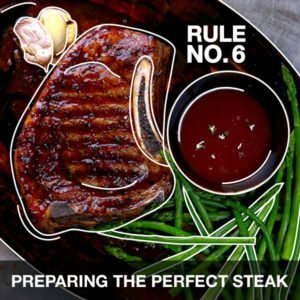 For the most succulent steak result, let your steak rest for a few minutes before serving.